When we think about the benefits of good oral hygiene, the immediate and visible impacts are often the ones we notice most. If you brush your teeth regularly, your breath will smell better and your teeth will look clean and presentable. If you floss regularly, your gums will be strong and resistant to things like bleeding and more severe issues like gum disease. Most problems stemming from oral hygiene missteps we regularly think of from cavities to gingivitis mostly exist on the surface. They seem to only impact our oral health. That’s at least how we perceive the problems. However, what many people don’t realize is that oral health has a profound impact on overall health. This means that a dental problem can affect your body outside the area inside your mouth and around your jaw. There are many ways this can happen and City Dental Centers is here to discuss some of those potential issues. There are several kinds of infections that can occur in the oral cavity and spread throughout the body. Typically, mild gingivitis and more severe periodontitis, or gum disease, if treated early on will not spread in such a way. However, gingivitis can become gum disease which in turn can become an infection that spreads throughout the body. Another potential outcome is trench mouth, which is a severe form of gum infection also known as acute necrotizing ulcerative gingivitis. Bacteria from this condition also can spread throughout the body. Another important thing to note is that your bloodstream while healthy can flush much of the bacteria from your body without making it spread. However, quite often your immune system is NOT healthy when you have a bacterial infection. This is true even if the infection only appears to be affecting your oral hygiene. Sometimes dentists and doctors are placed in a tricky situation when treating problems with medications or treatments and an open sore is in the mouth cavity. The reason is medications and treatments can impact the mouth’s saliva flow and balance of healthy bacteria used as part of the body’s defense system. This means bacteria can develop and spread even easier. It’s been discovered that some instances of clogged arteries and blood clots may originate from oral inflammation due to bacteria. This can include as minor of conditions as mild gingivitis all the way up to severe periodontitis. It’s been found that the bacteria in the mouth may cause inflammation throughout the body, including in the arteries. This may result in plaque in the arteries, potentially leading to increased risk of heart attack and stroke. Chronic gum disease can make diabetes more difficult to manage. Infection can also cause insulin resistance, which disrupts blood sugar control. If you are pregnant, you may also want to consider resolving any oral health issues as severe gum disease may increase the risk of preterm delivery or giving birth to a low weight baby. Some estimates say as many as 18% of low birth weight babies born in the U.S. every year may be attributed to oral infections. If you are concerned about an oral health issue, contact City Dental Centers today! It’s a surprising fact that just over 35% of working-age adults visited the dentist in a study in 2012. While dental care utilization at this point was the highest ever among children, it’s surprising to see educated adults skipping out on dental care. What are the reasons why adults skip out on seeing the dentist regularly, or every 6 months? There are many reasons why. City Dental Centers will explore some of these reasons. Having good insurance can make the greatest difference in whether or not an adult will visit the dentist. Many adults without the coverage simply avoid the dentist altogether. 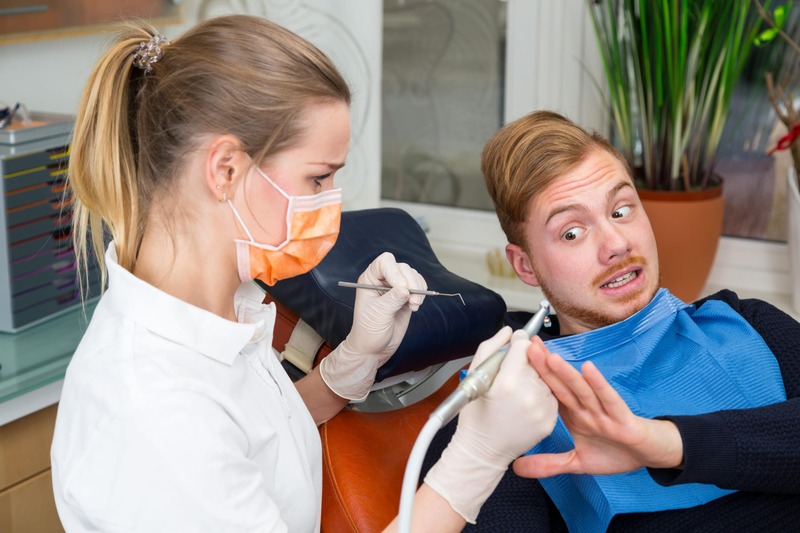 The cost of visiting a dentist is also relevant in regards to this factor, but generally if cost is a concern for you, insurance can really help. This is particularly true if you believe you need some sort of expensive procedure performed. If insurance is a concern for you, consider a dentist that offers payment plans for more expensive procedures. Understand that avoiding the dentist will not make matters any better. 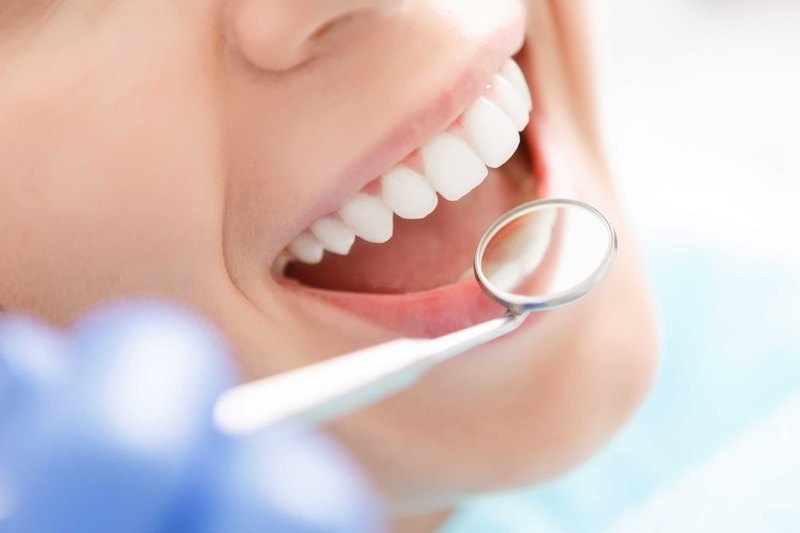 Many individuals have had, at some point or another, an unpleasant experience at the dentist. 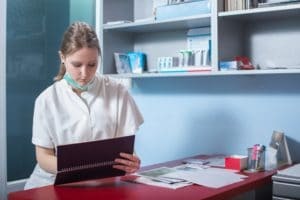 Sometimes this experience has given dentists a bad perception by the individual who then no longer wishes to see a dentist unless it’s obviously an absolute necessity. Unfortunately, not seeing the dentist every 6 months can result in a more serious dental problem down the line. Similar to having an unpleasant experience, there are many adults who are actually terrified of visiting the dentist due to a past experience. Individuals who are afraid of the dentist may actually forego care even if they are in dire need of dental treatment. It may sound uncommon for adults to have a phobia of the dentist, but it’s actually more common than you think. It’s estimated that 9 – 15% of adults avoid the dentist due to fear and anxiety. This translates to 30 – 40 million people. That’s a lot of people potentially suffering from dental issues that would be resolved if they could overcome their fears! Another common reason why working-age adults avoid visiting the dentist is exactly what you’d think: work. It is not at all uncommon in today’s day and age for adults to not feel they have enough time for themselves. When they have the time, often the last place they want to be is in a dental chair. It’s important to make time to visit the dentist even if your lifestyle seems too busy to accommodate it. After all, if you don’t visit the dentist and catch a serious problem in time, it will only take you more time to resolve it later. If you’re in need of a dentist, choose one that will accommodate your schedule and make your visit as comfortable as possible. Choose City Dental Centers for your care! An estimated 9 – 15% of adults avoid the dentist due to either fear or anxiety of visiting the dentist. There are many reasons why an adult may be afraid of the dentist. They may have suffered a bad experience either in their youth or even as an adult. The tools used may terrify them. They may be concerned they have a current problem and see not knowing as a solution. Unfortunately, not visiting the dentist due to fear will not make matters any better. 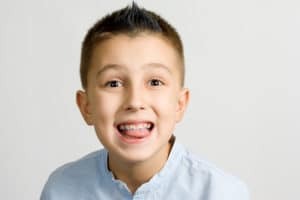 There are many reasons why individuals may fear the dentist into adulthood, but fortunately City Dental Centers has some solutions to these problems. In spite of your beliefs based on past experiences, a dentist can help resolve your dental concerns. If you’re afraid something will be discovered that is wrong with your teeth, remember that the dentist is there to fix whatever is wrong before it gets worse. Dentists are required to regularly attend training to keep up to date with the latest trends in dentistry. A good choice of dentist is generally one that puts in extra time to ensure their training and customer service is the best possible. 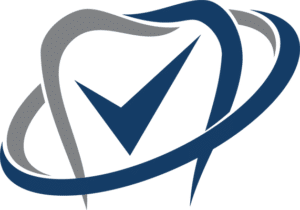 City Dental Centers’ founders, for example, have a yearly event dedicated to educating their doctors, improving customer service, and helping communities abroad. Visiting the dentist sooner rather than later will also prevent a dental issue from costing hundreds to thousands of dollars more. If anything can alleviate your anxiety in the face of a dental issue, saving money should at least help. Serious problems like loss of teeth and major periodontal disease could be avoided if only the person had visited the dentist sooner. If you suspect any kind of issue, visit your trusted dentist as soon as possible. What does this mean exactly? It means that a professional, caring dentist will generally make whatever accommodations necessary to ensure your visit is as comfortable as possible. Procedures that involve surgery or potential discomfort generally give the dentist every necessary reason to utilize nitrous, numbing agents, or some other alternative to alleviate or eliminate pain. If you experienced a substantial amount of pain during a dental visit previously, consider whether or not any of these options were considered and applied properly. A trusted dentist will always do whatever is necessary to keep their patient from experiencing severe pain. If you had a bad experience with a dentist in the past, understand that every dentist is unique and that you shouldn’t judge all dentists based off one bad apple. If you met a dentist that didn’t meet your expectations or handle your concerns with the sensitivity you expected, seek out someone new. A good option is always a dentist with a reputation for excellence, including years of experience treating patients. In the case of City Dental Centers, they also treat their patients like family. Consider City Dental Centers for your care. Let them change how you view dentistry! City Dental Centers and City Dental Kids & Braces are happy to continue proving again and again that there is no reason to fear the dentist when you’re under our care. We look forward to continuing to serve you and our communities both locally and abroad. There’s always more you can learn as a dentist, and we look forward to continuing to better serve you in the months and years to come! With a new year comes many resolutions for self improvement. Many choose gym memberships and some stop going after the first few months. Others choose to cut back on drinking, and find themselves breaking their resolution just in time for St. Patrick’s Day! City Dental Centers wants to suggest a resolution often ignored: a more strict adherence to your dental hygiene. However, don’t let this be a resolution you give up on within the first few months. Cavities resulting from bad oral hygiene do not take a vacation… and neither should you! City Dental Centers is going to review some of the most important dental activities to dedicate yourself to in the new year. Brushing twice a day is the minimum requirement for good oral hygiene. 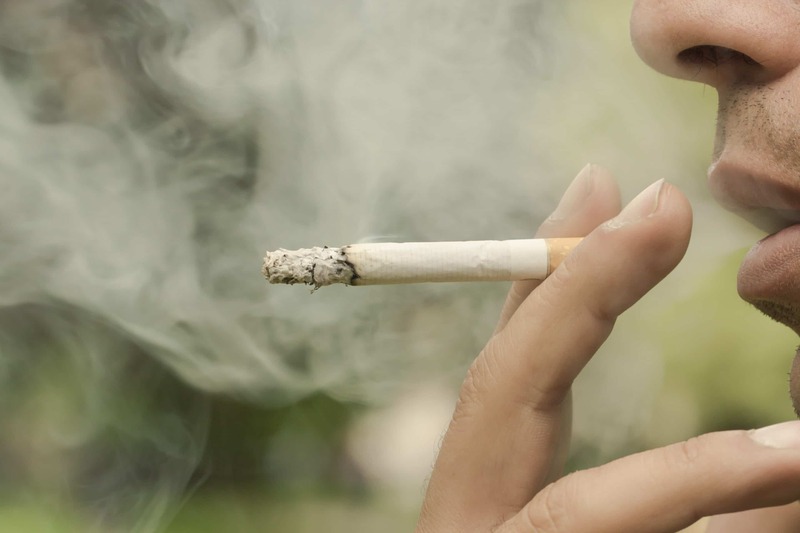 This means in special circumstances, brushing more than twice per day may be recommended. If you’re eating a lot of candy throughout the day, such as during Easter or Halloween, brushing more than twice a day is a great idea. That being said, there should never be an excuse to brush less than twice a day. The best times are in the morning and at night. Make time and do it right! Many adults still take issue with flossing their teeth daily. Cavities can easily form between the teeth if you do not give them the proper attention. There are many special flosses for adults who have difficulty brushing between teeth that have tight gaps. There is even a flossing tool that uses water to floss your teeth! Devices like these make flossing easy, and even fun if you can find the child in you. There is no excuse, regardless of your specific dental situation, to skip out on flossing. Just do whatever it takes to make it happen at least once daily! Most adults, with few exceptions, can’t say they couldn’t benefit from a better diet. 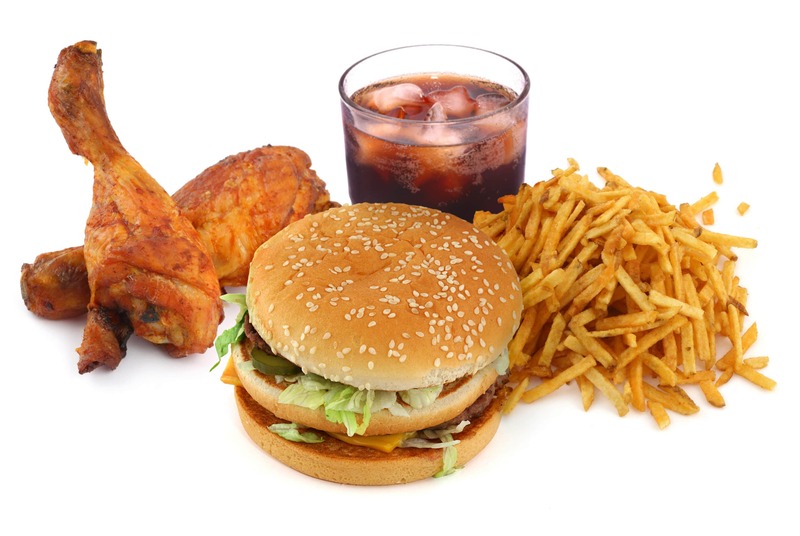 Think about cutting back on sweets, sodas, and fast food. Spend time making health eating a priority. Your body will thank you for it… and so will your dentist when you avoid cavities! Our children are the future. Make sure your kids are brushing twice a day, flossing regularly, and eat a healthy diet. Schedule your child for regular dental checkups with a reputable pediatric dentist. A good example is City Dental Kids & Braces, a new dental practice opened by the founders of City Dental Centers Dr. Sam Shahoveisi and Dr. Michael Danial. Feel free to visit their brand new website to schedule an appointment. Your kids deserve the best. Visiting City Dental Kids & Braces with the specially trained doctors and staff will help ensure your children grow into responsible adults in taking care of their oral hygiene. If you’re visiting the dentist properly, you should be booking two appointments in the year 2017. Many adults do not schedule regular checkups. Some adults push it out to a year. Others may not see the dentist for years! This is how hidden problems form. Get your dental visits on the calendar! For all your dental needs, for both adults and kids, City Dental Centers and City Dental Centers Kids & Braces are here for you! Make 2017 a great year in accomplishing your personal goals, but also make some time to make sure your teeth are happy too! City Dental Centers and City Dental Kids & Braces were established by Dr. Sam Shahoveisi and Dr. Michael Danial to bring the experience of being like family to patients. With multiple locations across Southern California, City Dental Centers & City Dental Kids & Braces are the best choice for any and all of your dental concerns. The professionalism of their doctors will ensure you the best possible care before, during, and after your dental procedure. What brightens up your day more than a smile? To anyone who has a special someone this Valentine’s Day, it should be a no-brainer that what will brighten that special day most won’t be the chocolates, the flowers, or even a good movie. It will be the smile on that beautiful person’s face. So it should go without saying that you shouldn’t go on that special date with teeth full of chocolate or bad breath from unhealthy foods! If the best gift your valentine can give you for this holiday is their smile, then the best gift you can give them back is your smile in return! Keep in mind this article is NOT an excuse to skip out on a Valentine’s Day gift! It is simply a reminder to pay some attention to your oral health on this special holiday. Like Halloween, it’s easy to focus on the sweets and forget the smile. Here’s some ways to make your smile brighter for Valentine’s Day, and even after the holiday is over! Whether it’s for Valentine’s Day or some other date, in-office teeth whitening is a great way to brighten up your smile. It can be more affordable than you think, and a good consideration for couples is to book whitening sessions together so you can come out with smiles as bright as your future together! While there are over the counter alternatives, generally in-office treatments work the best and last the longest. Still haven’t gotten around to getting braces to correct your bite? Got a gap between your teeth simple bonding could fix? Is there a chipped tooth you got a while back you just keep forgetting about (until you smile in the mirror)? Whether it’s surgery for her or surgery for him, dental surgery can make a big difference in the appearance of your smile. Now not all changes happen overnight. The most dramatic of changes will take more than one visit. But don’t you owe it to yourself, and your partner, to make your smile as bright as possible? They will love you regardless, but your confidence may shine through a little better. And added confidence on either side benefits both sides. Brush twice a day. Floss daily. Use mouth wash at the very least before an important date. It’s all common sense! But it’s shocking how many people forget simple manners before going on a date. Whether it’s your first date or 1000th date, your attention to your oral health should never falter. When you go in for that kiss end of the night, don’t let a mouth smelling of stinky cheese give your night a turn for the worst! Eat healthy foods. Avoid sugary sodas and other drinks. Limit your intake of candy. If you chew gum, avoid the kind that is overly sugary and understand that in the end, brushing your teeth beats chewing gum any day. 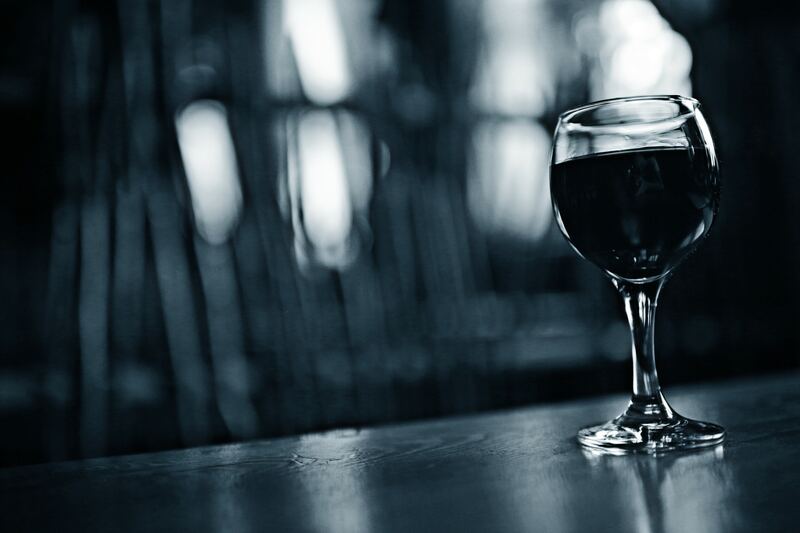 You owe it to yourself and your valentine to take care of yourself and eat (and drink) right! Exercise benefits the immune system which improves every party of your body, including the health of your teeth and gums. Take the time to stay active. You’ll look good and feel good too. Your partner will definitely notice it. Make sure you and your significant other book regular dental exams every 6 months. Cavities only become more detrimental when they go ignored. Don’t be afraid of the dentist! They are here to help you. Schedule your next appointment with the friendly staff of City Dental Centers! City Dental Centers and our pediatric dental practice City Dental Kids & Braces wish you a Happy Valentine’s Day and look forward to treating you and your loved ones at your next appointment. We look forward to continuing to serve you and our communities both locally and abroad. Take care of yourself and your loved ones this Valentine’s Day and consider scheduling an appointment with City Dental Centers!